With half term just around the corner and the Easter holidays not too far away either, thoughts will soon be turning to how to keep the children entertained. Spending a few days on holiday is a great way to enjoy quality time together as a family without the distractions of everyday life. This spring, spend your family holiday in the Lake District and look forward to a few days of outdoors adventure! Yes, the region may be famous for lakes and mountains but make sure you don’t overlook the forests during your holiday in the Lake District. 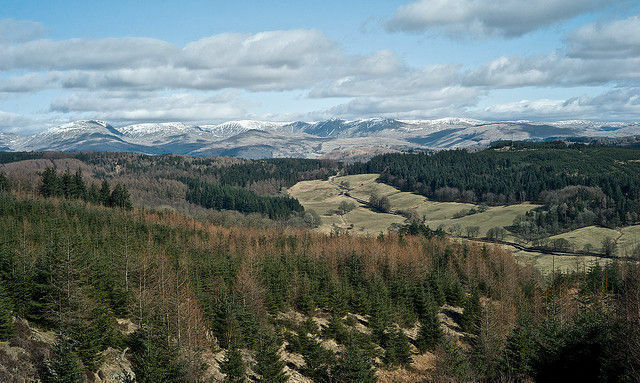 Grizedale and Whinlatter are the place to go for outdoorsy families with plenty of safe cycling tracks and children’s activity trails as well as a popular Go Ape centre and outdoors play area. There’s no better way to appreciate how beautiful the Lake District is than to be outside, so why not pack up a picnic and enjoy it? For a dose of culture which is sure to entertain the big kid in all of you, visit The World of Beatrix Potter in Bowness-on-Windermere. The famous children’s author was born in the Lakes and this is where she drew inspiration for Peter, Mrs Tiggywinkle and friends. Today you can meet your favorite characters, take a peek in Mr McGregor’s vegetable garden and visit Jemima Puddleduck’s woodland home. If you travel during the Easter holidays, take part in the charity egg hunt across the whole of the Lake District. Where there are lakes, there must be rain so if the heavens do open, you’ll be looking for indoor attractions where you can stay dry. Take the outdoors inside and visit an indoor climbing wall where the whole family can get to grips with ropes, hand grips and carabiners before you head outdoors. There are indoor climbing centers across the Lake District with most welcoming families with zero previous experience and children as young as 3. While life does revolve around the great outdoors in the Lakes, the area is also home to more than its fair share of museums, well worth a visit during your holiday. The Cumberland Pencil Museum in Keswick is a hit with local families as well as those on holiday and is a must if you have any budding artists in your brood. Explore the home of the first ever pencil and take a photo of the whole family next to the largest color pencil in the world, at just under eight meters long. The World in Miniature Museum in Carlisle is also a hit with families where you can see everyday items shrunk to the size of a postage stamp.